In this video, SilencerCo addresses some common misconceptions about how effective suppressors truly are at reducing sound report, based on their oftentimes Hollywood-esque portrayal in modern video games. SilencerCo brought along the latest iteration of the Maxim 9 to their booth at Industry Day at the Range. The original Maxim 9 was built upon the Smith & Wesson M&P, more-or-less due to “[SilencerCo] having a lot of them sitting around”. 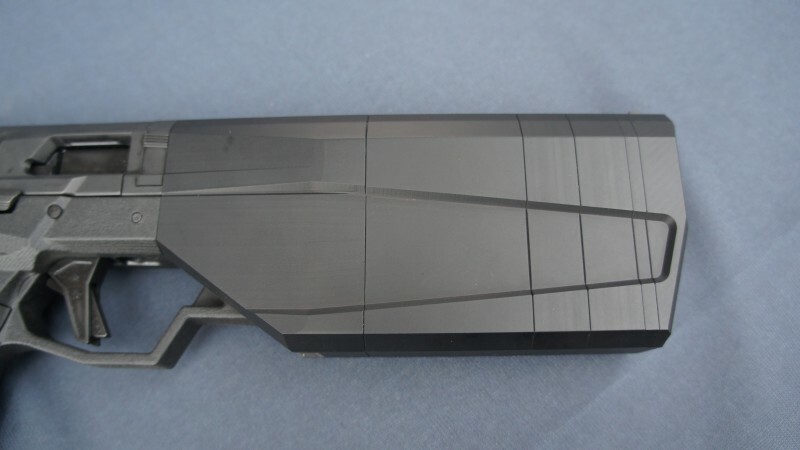 This new Maxim 9 is, by comparison, a SilencerCo design, albeit in a prototype form. This is partially apparent from the 3D printed lower frame, and because of it being a prototype, none of the attendees were allowed to test fire it; a live fire demonstration by a SilencerCo employee was made, however, and we’ll upload footage from that for the readership soon. Getting back to the pistol itself, it sports a number of impressive changes and upgrades from the initial prototype. First, it now utilizes Glock 17 magazines, which is great for obvious reasons. Adding on to the Glock compatibility, the irons are designed to be replaceable with any Glock-compatible sights. Additionally, it sports a 3.5″ barrel, a quick-action/safe-action-style trigger, the slide catch/stop/release is ambidextrous, and SilencerCo told us they plan to make the mag release ambi as well. Adding to the changes, the Maxim 9 now features removable baffles much like the Salvo 12 and Osprey Micro, which allows users to shorten the overall profile of the Maxim 9. SilencerCo also told us they are making further refinements to the design, including the development of a method to allow for the mounting of a light and/or laser. We heard the Maxim 9 may be available as soon as quarter 4 this year, so be on the lookout for more info as it becomes available. 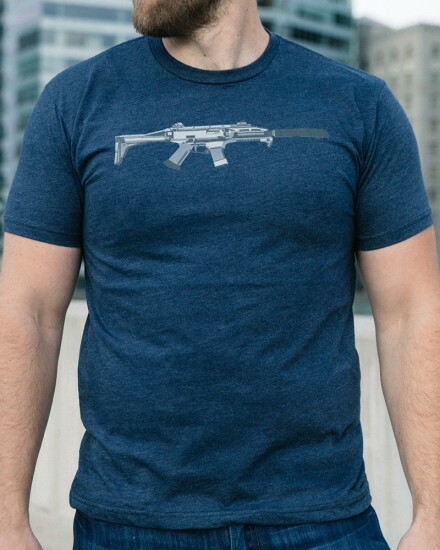 SilencerCo has updated their line of apparel and gear with some new products, including a great-looking set of Suppressed Weapon t-shirts, like the above Scorpion shirt. The entire line include new shirts, new headwear, new jackets, and even branded socks. You can check it all out at the link below. SilencerCo recently released this 80s-inspired pseudo-parody of Miami Vice which shows off their new Maxim 9 integrally suppressed pistol. 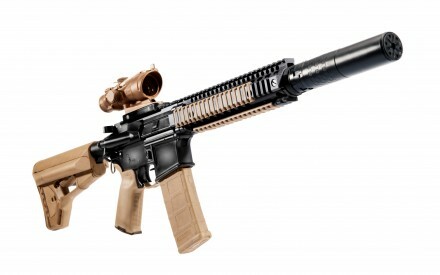 It’s a real steel gun, but I wouldn’t be shocked if a unique design like that ends up with an airsoft version sometime in the future. SilencerCo’s latest ad is a bit ‘out there’, but it’s definitely in the spirit of Halloween. SilencerCo – How Do Silencers Work? WEST VALLEY CITY, UTAH – September 23, 2014 | Aimed at educating the general public about the science and application of firearm suppressors, leading manufacturer SilencerCo released today an animated infographic. While silencer purchases have increased rapidly in recent years, a vast majority of the public is unaware that the device can be purchased in most states. The image, shown below, was designed to combat many of these misconceptions. More information on silencers and ownership can be found at SilencerCo.com/Ownership. 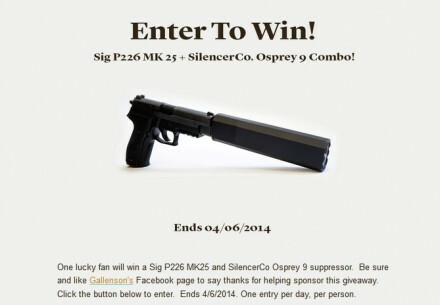 Posted in Weapons | Comments Off on SilencerCo – How Do Silencers Work?